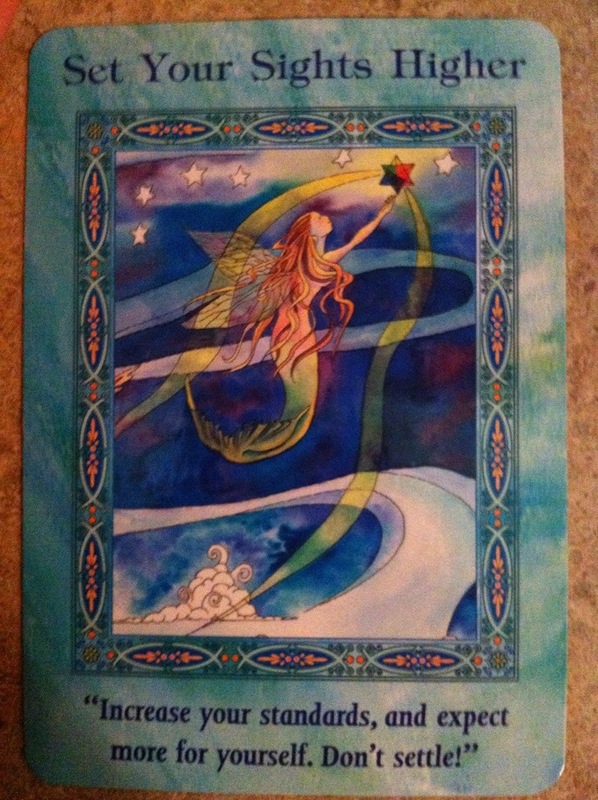 Card: Easy Does It – from the Magical Messages from the Fairies Oracle Cards by Doreen Virtue. Message from the Faeries: The only thing that is stopping you from achieving your goals right now is yourself. You are either trying to hard and trying to control everything, or you are so full of fear of failure that you preventing yourself from moving forward. Being afraid of success might also be a factor right now. Right now, you really need to just let go. Let go of your fears. Let go of your need to control everything. Let go of your thoughts and ideas of what other people might think of you. Let go of your hopes, dreams and desires. Yes, you heard us correctly. When you obsess too much of your wishes you can end up strangling them to death. The trick to success is that you can let your goals be the motivating force behind your actions, but you have to let your goals take over the driver seat. There is no need to micro manage or control everything. You let the dream take over. Let it guide you and direct you. No doubts. No fears. Just let your desire be the leader, not your ego. When the hear is in control, and not the mind, your chance of success is increased tenfold. Card: I The Magus – from the The Tarot of the Holy Light by Christine Payne-Towler. Message from the Faeries: This week’s card is carrying on the message from the last few weeks, as a strong guide for this year. 2017 is a year where illusions, both internal and external, will be broken and shattered before your very eyes. Your notion of reality is going to be challenged many times over, and it is so important that you remain vigilante, clear and awake. We want you to imagine yourselves to be the Magus. It is no coincidence that the number of this card is One. Just as you received the Ace last week, the One reflects how this is the beginning of a very important journey, not just for you but for everyone. This is a time where the current running program will be challenged and broken down. There is a chance that some aspects of reality as you know it will be rendered to a Ground Zero, where a slate will be wiped clean for new realities can be constructed. 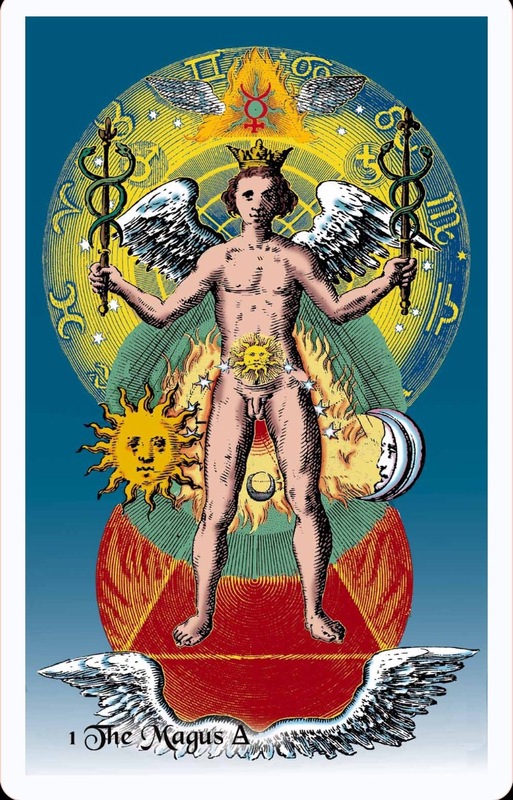 Poised as the Magus (Magician) you will be ready to help create a new life or a new world. As things begin to fall apart, this is an important time for creative people and dreamers to think up new solutions and to essentially conjure up new imaginings for a new way of being. This reality model you are all living in is coming to an end. The jig is up. The veils are falling. You will all see the truth for what it really is. It’s time to cut the cords and strings, and to stop pretending. The good news is that you were made for this, quite literally. You have everything you need within you. Your DNA has all the coding it needs for you to be physically and spiritually carried through these era. Your soul, paired with your genetics and ancestry, has given you all the tools you require to move through these amazing times. You will begin to have a deeper understating of what your ancestry really means. You are an Earth being who is also made from the Stars. We won’t go into any detail about this, because it’s your own story that has to unfold for you. Just as we told you last week to have a regular meditation practice. This week we would like to advise you to pay closer attention to your dreams. Keep a dream journal. Each morning, when you first wake up, write out as many details as you can. Over time, you will see a much bigger story come to life. You are being transmitted a lot of information during your sleep. 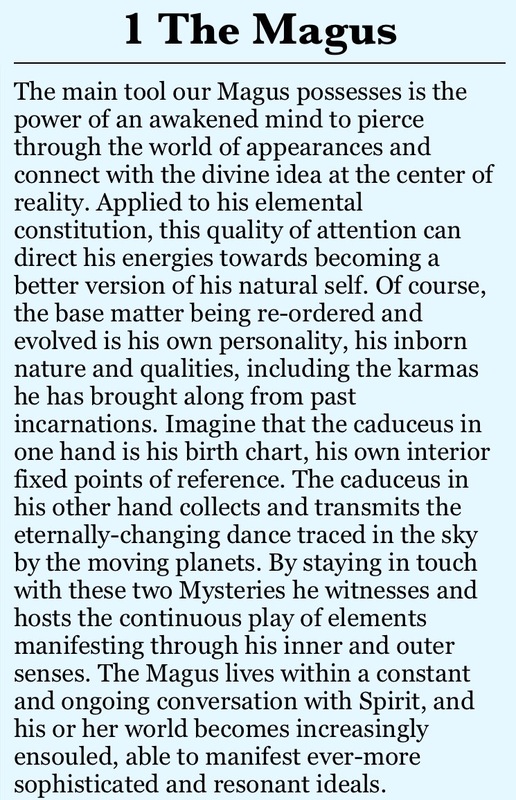 This information is meant to give you some guidance and knowledge that can’t be given to you during your waking life. Eventually your dreams and waking life will become One. Card: Seven of Autumn – from the Fairy Tarot Cards by Doreen Virtue. 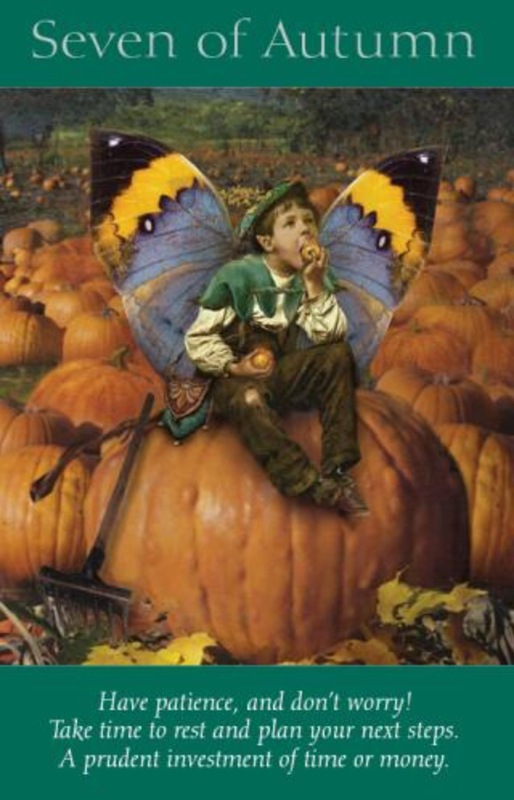 Message from the Faeries: Keep the faith! Even though it feels like nothing is moving forward, or that your hard work has been for nothing, please do not give up your faith. Trust and know that everything is going to work out the best way possible. When things don’t feel like they are working out or when they feel like nothing is happening, after you have put great time and effort into making your dreams come true, it’s easy to lose faith. When you lose faith or give up hope then your dream slowly begins to die. Faith and hope is what breathes life in to your goals and aspirations. Don’t give up hope. We would like you to think about this in the big picture as well. It’s important to maintain some positivity and hope when things in the world don’t seem right. When horrible things happen, when humans commit atrocities, and when all you see is corruption and lies, it is so important that you keep faith that things will be better one day. If all of you give up hope, and you have a negative attitude, you perpetuate the atrocities and corruptions. You have to believe that one day the good side of humanity will win. This belief and hope is what brings all the good things into the world and brings out the positive reflection in human beings. Don’t give up hope! No matter how bad things may seem, please keep believing in yourself and know deep down in your heart and soul that good things will happen for you, and that you can have a good life. Don’t give up on this world either. You can all achieve something great. My super hilarious, beautiful and talented friend, Sarah Swinwood, has a dream. She would love to make a short comedy film in Peru called ‘Miss Canada’. She just needs a little help in realizing her dream. If you can, please help her to fulfill her dream. Sending you lots of love and wishing your dreams come true, Sarah! Hello Everyone! Welcome to 2015! Pretty awesome so far, am I right? I wanted to pick a card for us to start the year off. It’s been a pretty busy day full of adventure, but I thought it would be nice for us to have a card to start the year off. 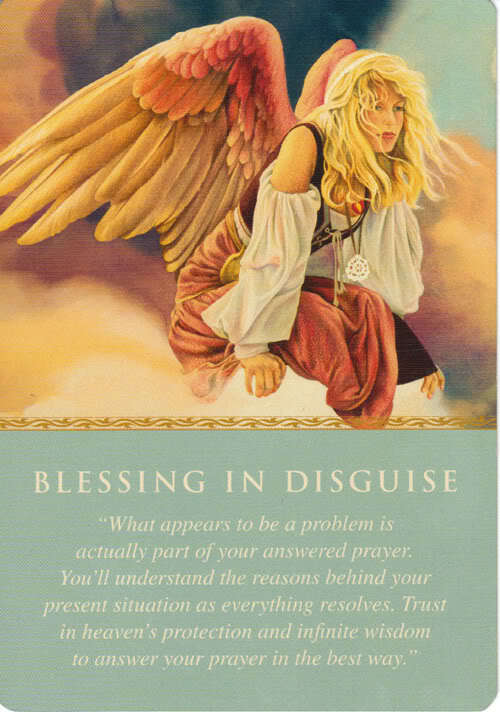 I was guided to choose this card for us from the Daily Guidance from Your Angels Oracle Cards by Doreen Virtue. We can now know without a shadow of a doubt that all of our trials and tribulations of the last year were for a reason – to push us forward towards the things that we really want to manifest into our life. This year we will learn that all the things that felt like were obstacles and challenges were actually blessings in disguise. It is all about divine timing and guidance. Trust and know that all your hardships in the past have brought you close to actualizing your dreams. Now it’s time to pay attention to all the signs that the Universe is providing. Trust your intuition and your instincts. You know what’s best for you and where to go. I hope that in 2015, all your dreams come true. 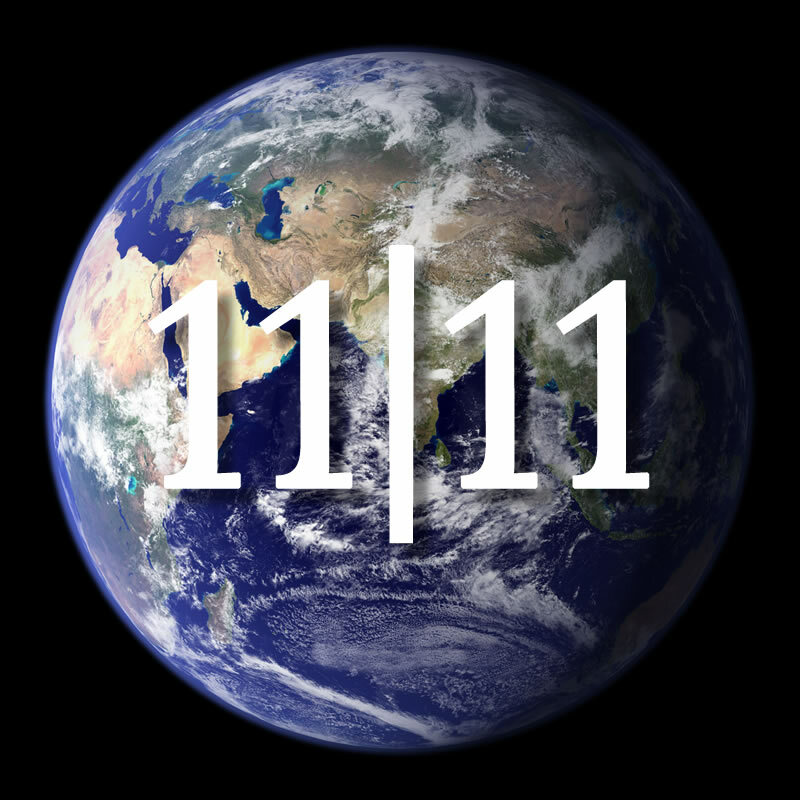 Just a reminder that it’s 11/11. This is a powerful day for manifestation. 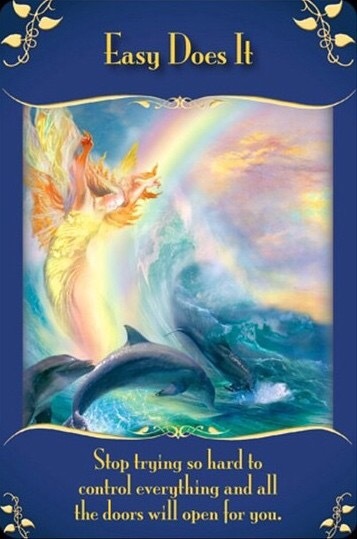 Card: “Set Your Sights Higher” from the Magical Mermaid and Dolphin Oracle Cards by Doreen Virtue. Message from The Faeries: Last week we talked about you being on the road to becoming Masters of Manifestation. This week we are asking you to really start to explore your manifestation powers some more. Most of you have been asking for and creating some pretty cool things in your life, but you are thinking pretty small still. This week we want you to think big. BIG! It would appear that some of you are a bit afraid to dream big. That’s okay. We know you are just starting to get the hang of this whole manifestation thing. You have to practice the art before you become a master. Having said that, this week we want you to do yourself a big favour and don’t hold back. What is it that you really really want? What is your biggest dream? Don’t be shy. Don’t hold back. Go ahead and ask for it? What are you afraid of? This is where you truly begin your journey to becoming a master manifester. You realize and believe deep in your heart that you can have whatever it is you want to have and your believe in yourself. You decide what it is you really want in your life and go for it. You don’t hold yourself back. You open your heart wide and you jump. So this week, take that big breath and just jump. Stop selling yourself short. You can have whatever your heart desires. Question is: are you ready?